While the FWS tried to spin it that they are still committed to recovery of the red wolf, the agency’s proposed actions speak much louder than their rhetoric. Here’s what FWS proposed – and what’s wrong with it. By looking at the FWS’s own Population Viability Analysis (PVA) – an assessment frequently used in conservation biology to determine the probability that a species will go extinct within a number of years – there is no more than a 0.5 percent chance that the captive population of red wolves will go extinct over the next 100 years. The same analysis shows that without immediate action, the wild population of red wolves could perish in less than ten years. Next, the FWS proposes “to determine where potential new sites exist for additional experimental wild populations by October 2017.” While expanding release sites and recovery locations throughout the red wolf’s original range in the Southeast makes total sense for the species, giving up on wolves in North Carolina absolutely does not. That move makes me howling mad. Additionally, 27 legislators from North Carolina wrote to the U.S. Fish and Wildlife Service in August 2016, asking that the agency redouble its efforts to recover the red wolf. 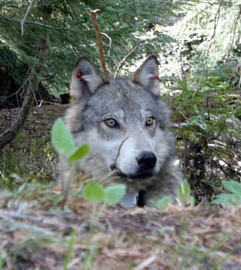 This program was once the model of success for wolf recovery efforts in the United States. Despite the efforts of dedicated on-the-ground staff, poor decision-making by FWS’ Southeast Regional Office has caused this program to crumble. As a result, the population of wild red wolves in North Carolina has crashed from a high of 150 to less than 45 wolves today. That’s reason to fix the program, not to close it down. It will take years to build new recovery programs and public support for wild wolves in other locations, and in the meantime, we could be learning from an expanded effort in North Carolina. FWS also proposes “to revise the existing experimental population rule to apply only to the Dare County Bombing Range and Alligator River National Wildlife Refuge…” What does this actually mean for wolves on the ground in North Carolina? Starting in 2018, FWS plans to reduce the habitat of the world’s only population of wild red wolves from 1.7 million acres spread over public and private lands, down to 200,000 acres of public lands in one county. This reduces the red wolf recovery area and habitat to just 12 percent of its former range. Additionally, FWS wants to round up any red wolves outside of Dare County and put them into a captive breeding program in zoos across the country. This is a complete disaster for wild red wolves. Restricting wolves to one small space in the wild doesn’t put them on the road to recovery and goes against their very biology. Thankfully, our legal team working with our conservation partners recently won a preliminary injunction against the Service, limiting how red wolves can be removed from private land. But the fact that officials would even suggest this measure doesn’t bode well for future management decisions. All I can say is this is a massive game of kick the can down the road. This proposal is, essentially, a plan for extinction. Clearly, the current administration is backing away from a nearly 30-year investment in recovering red wolves in the wild and passing the buck to the next administration. The FWS decision undoes nearly three decades of work to recover the red wolf in North Carolina. The Red Wolf Recovery Program was the example for wolf restoration efforts in Yellowstone National Park and for the Mexican gray wolf in the Southwest. There will be public comment periods on this proposal once the FWS begins to make official decisions. When this happens, we’ll be calling on everyone who cares about red wolves to tell the FWS to do its job and recover endangered species in the wild, not just in captivity. We will be organizing red wolf supporters to stand up for their native wolf. And we will continue working with private landowners, elected officials and the public to build on the strong support for red wolves in North Carolina. It is time for the public and the conservation community to stand firm and united behind red wolf recovery. Together we can lead this program towards a better future, and save the world’s most endangered wolf from extinction. Red wolves are dangerously close to extinction in the wild, and they need your help. 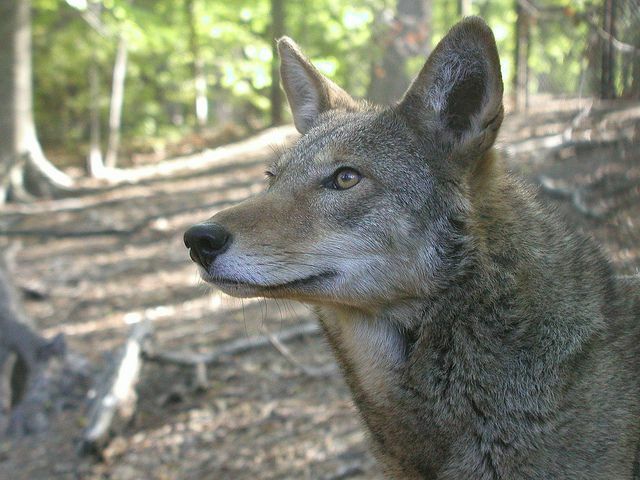 Insist that FWS recommit to red wolf recovery – before it’s too late! Ben Prater supervises and directs Defenders’ efforts to protect imperiled wildlife and their habitats in the Southeast. He is also building on the outstanding work of our Florida and legal teams throughout the region and expanding our work into the Carolinas, Georgia, Tennessee, Kentucky and Alabama which are home to sensitive habitats and many endangered species. Defenders just scored a big victory in court that will provide needed protections for North Carolina’s dwindling population of wild red wolves. A federal judge in North Carolina has issued a preliminary injunction barring the U.S. Fish and Wildlife Service from removing native wolves from the wild unless they pose an imminent threat to human safety or property. In recent years, the Service had been removing wolves simply because some vocal landowners don’t want them there – a significant departure from years of prior practice. Lawyers for Defenders of Wildlife and our allies argued in a court hearing on September 14 that a preliminary injunction was needed to stop the agency from further harming the world’s only population of wild red wolves. Today, Judge Terrence Boyle of the Eastern District of North Carolina issued a ruling preventing the Service from unnecessarily trapping and killing any more wolves. Defenders brought the federal agency to court because under the Service’s recent management, the red wolf population had declined from more than 100 animals to fewer than 45. Recently, the Service had not only stopped key conservation actions to protect and enhance the wild population, but even authorized private landowners to kill red wolves on their land. The Service has also been capturing wolves throughout the five-county red wolf recovery area in North Carolina, and holding them for weeks or months before releasing them into unfamiliar territory, separated from their mates and pack. This victory could help stabilize the wild population while the Service continues to deliberate over the fate of what was once a model carnivore reintroduction program. Earlier this month, the agency announced a proposal to trap and remove most of North Carolina’s red wolves and put them into captivity, abandoning all protective efforts except in one federal wildlife refuge (and adjacent bombing range) in Dare County. Lately, that habitat has supported just a single pack of wild wolves. Defenders and our allies have lots of work ahead to convince the Service to protect North Carolina’s wild red wolves, reinvigorate the red wolf reintroduction program, and find additional places for wolves to live in the Southeast. Today’s court victory gives us – and the red wolves – a fighting chance. Much of what’s in the media regarding wolf hunting is propaganda. “Propaganda” is biased with undertones promoting a particular cause. The statement in a Jan. 14 letter that “city people don’t understand wolves” was propaganda at its finest. The assertion was narrow, lacked credibility and failed to consider the larger picture. I rarely see mentions of the complexities surrounding pack instincts and wolf communities. Killing one wolf impacts a larger system. Are we as a civilized culture defending practices that have devastating repercussions on ecosystems based on the premise humans are a superior life form responsible for population control? I have lived in rural Minnesota most of my life and now live in Duluth. In 15 years I’ve seen two wolves. Recently, a colleague caught a glimpse of a lone wolf in her yard that frightened off when she approached. Wolves are shy and elusive creatures. Rumors and misinformation abound. Sport and population-control hunting causes an increase, not a decrease, in livestock and pet predation. Individual wolves, especially pups, depend on their pack (and not just the alpha, contrary to popular belief) to learn hunting and social skills required for survival. Wolves are more likely to prey on easier targets such as domesticated or livestock animals when their packs are compromised. Under the recent federal ruling, it remains legal for an individual to kill wolves deemed a threat to human life. Even a perceived threat suffices. No one challenges the right of livestock owners to kill wolves posing a threat to their livestock. I raise the question: What’s the wolf hunt actually about? In northern Minnesota, where anti-wolf sentiment is on the verge of hysteria, I can’t help but believe it’s about human predators perpetuating values that disrespect natural order and fellow species important to intricate ecological systems of life.